Our mission is to facilitate newcomer settlement, promote multiculturalism and help eliminate racism in our region through a full suite of services, community engagement and development and positive social equity framework. 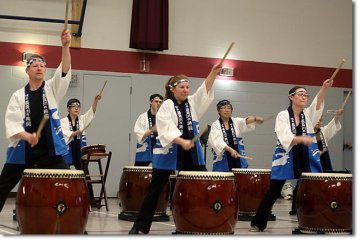 Please come and support the “Kaminari Wan Taiko” drumming group hosted by the Lakehead Japanese Cultural Association. They will be performing on April 7th at the West Thunder Community Centre starting at 7PM. This event is FREE of charge, but donations are greatly appreciated! Welcome to the Thunder Bay Multicultural Association. Meet our friendly and knowledgable staff of the TBMA and learn about Newcomer Settlement Services, Language Instruction, Translation & Interpretation and our Youth Settlement Services.